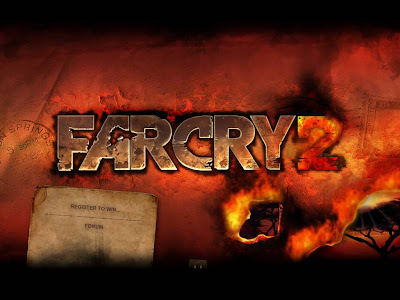 Release of 'Far Cry 2 !! ' soon.. Remember the game released three years ago where we were an awesome trophical shooter, the sequel to the same will soon be released for PC, PS3 and Xbox 360. Ubisoft have listed spring 2008 as the release date.Till then get over to the teaser site for a glimpse of the new logo. Hacker Jon Lech Johansen, a.k.a. "DVD Jon", has cracked Apple's iPhone activation, or so he claims, i.e. iPhone buyers will be able to activate and use the new handset without having to sign the AT&T wireless contract. After attaining this feat the Hacker posted a post titled "iPhone Independence Day". The Norwegian cracker initially bolted his name for himself eight years ago when he cracked the encryption code on DVDs. And later, he cracked the digital rights management code that prevents iPod users from playing songs purchased from online music stores other than iTunes. "I've found a way to activate a brand new unactivated iPhone without giving any of your money or personal information to AT&T," Johansen wrote on his "So sue me" blog. "The iPhone does not have phone capability, but the iPod and Wi-Fi work." Ever Thought of Earning Money online just by posting?Here is one service which makes blog advertising easier for Advertisers as well as Bloggers. Smorty is a service which make blog advertising easy and helps make money from blogging. Smorty service is also great for Advertisers as it provides advertiser's direct approval of posts and making an account for an advertiser is alos free of cost until the bid for Article for Blogger starts. As per my experience Smorty is great in both the ways i.e. Advertisers as well as Publishers . I know i must have got paid as soon as my Post is published on my Blog.The Article Topics are also very interesting and fun to write.The more you gain articles and the more you write the more you gain smorty points gaining more hold and reputation on Smorty thus increasing the bid value of the article. The best part of Smorty is that Publishers get paid by Paypal(weekly payouts) so no hassle regarding the payment checks and other things. Happy Blogging and Happy Earning by Smorting. Global warming,Dooms Day ,Final Earth Catastrophe ......are some words which really bring goosebumps to anyone when thought about it. Sure enough we aren't trying out level best to beat it but Google is surely trying it by its own method. Google is planning to go Eco-Friendly by the end of 2007.Google will run Carbon Neutral Servers by the end of 2007. To give instant heed to the case Google will run carbon offsets. Experiments are going on further to reduce the overall amount of greenhouse gases. When considering an offset project, Google will carefully examine the project's environmental integrity, its ability to be monitored and verified, and the impact that their investment will have in furthering that project's goals.In short Google will make sure the Carbon offsets will not make any loss to their shareholders and will act as a foolproof temporary solution. No no don't rub your eyes hard but Yes its true! !Sony has finally dropped the ever expensive PS3 price tag by 100$. 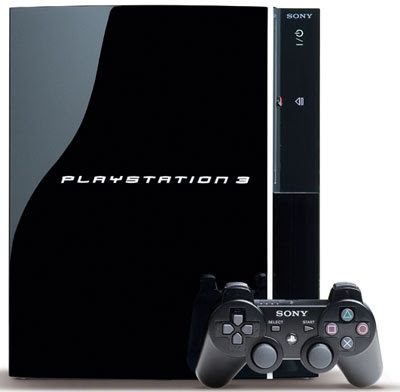 The Sony Playstation 3 ,for those who don't know!! is a gaming console, based on the Cell processor developed by IBM, Sony and Toshiba, the RSX graphics chip by Nvidia Corp., wireless network and Bluetooth connectivity and is equipped with Blu-ray optical disk drive(specially made for PS3). There are two versions of the PlayStation console available in the USA and Japan: one is equipped with 20GB hard disk drive and priced at $499, another features 60GB hard drive, card reader and some other improvements and is offered for $599. After battling against Microsoft and Nintento in the 'Console Wars' has finally slashed the price tag by 100$.Now this is a perfect move made by Sony as its very essential for Sony to capture the remaining Console Market as Microsoft's XBox 360 has already gained quite a good amount of popularity after its great grahics output as compared to its predecessor(Xbox). Nintento's Wii has also been quite popular among kids for its rather unique interactive gaming experience. Whether its a wise move by Sony or not is still a question?? The sales can only answer this question.